Senior year of high school fills my mind with endless memories. Even though many years have gone by, there’s one week from that winter that still pinches my memory. I was unlucky enough to catch a bad cold that winter. This particular week brought me back to class with a sore throat and barely able to raise my voice above a whisper. Although a temporary loss, I was extremely annoyed. My best friend served as a mind-reader/translator of hand signals. It really felt like the end of the world at the time. There were too many things to express, and so many events to discuss. 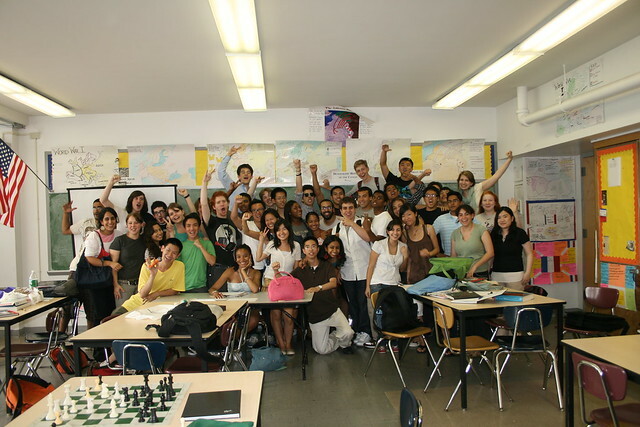 This was a class in which I regularly voiced my opinions and debated with classmates. I had always been very shy — embarrassed to share my thoughts or even speak in public. So in a class that was just a midday burden for some, I was building my self up. I’ve been trying to express that for some time. I’m still working on self-image, confidence and the like. I try to motivate myself and to not be overwhelmed by someone else’s standards. Sometimes it’s hard for me to be confident about my own ideas. I know that it’s something I’ll always have to work on. Every moment I pass up or choose to act adds to my voice. Not making a decision or taking an opportunity is definitely a choice. Obviously the world is not simple. Having a voice does not ensure that you will be heard, but the search and the strength that results is what shapes who you are. It’s been bouncing around in my brain for a while now. I am a young woman, not that far out of my “teens”. I move between proudly flaunting my resume of life-experience and actively hiding from it. My life has changed in so many ways in the past year couple of years, yet there are also many things that have remained the same.